Deborah is an 11 year old from the San Juan de Lurigancho district of Lima, Peru. She is in grade 6 and is a very diligent student. Her parents, pictured here with her, are very proud of the young lady they have helped support. Her mother credits her doctor and husband for helping her through the initial fears and trouble feeding when Deborah was first born. 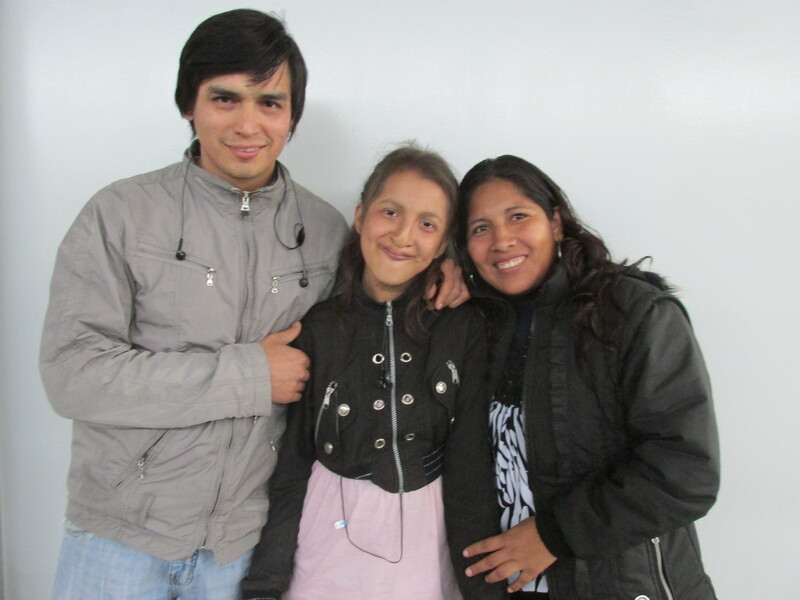 Deborah used to travel 2 hours to receive care for her cleft and she had trouble attending all of her appointments. Since a community rehabilitation centre opened in her district, her commute is now 30 minutes by bus. She visits the CRC once a week to receive speech therapy, counselling, and dental advice. She began her speech sessions when she was four and although she has some speech difficulties, she is a well-spoken and kind-hearted young woman. She has undergone 10 operations so far and is grateful for the care she has received because of TF’s support. Find out more about our work in Peru.